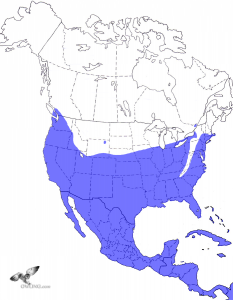 American Barn Owl is widespread across the US, Mexico, Caribbean, and Central America. It is commonly associated with open country in lowland habitats. Habitat loss continues to be the major issue threatening this owl. 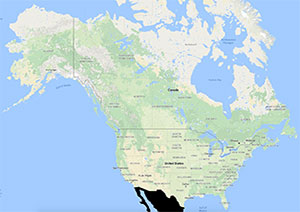 Currently it is listed in half of the US states as a species of special concern and in southern Canada as either endangered or threatened. The Tytonidae family is one of only two owl families that make up all the world’s owls. American Barn Owl is the only member of the Tytonidae family found on the mainland of North or Central America although other members of this family can be found in the Caribbean. 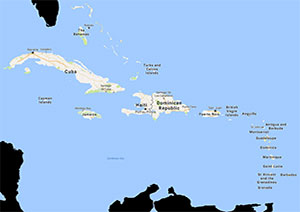 Additionally, some owls found in the Caribbean that are considered American Barn Owls have different calls and appearance and will certainly be further split into their own unique species as more studies are done in the future. 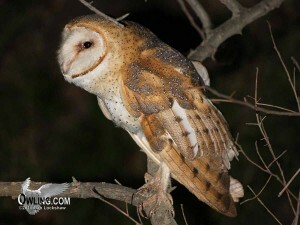 Here you will find videos, photos, audio recordings and a brief field notes section to help understand, identify, and enjoy this beautiful owl. A more in depth write up can be found in its natural history page. A screech is the best known and most frequent call heard (often given in flight). Variations of this call may be associated with territory defense, alarm, distress or as a mating call. 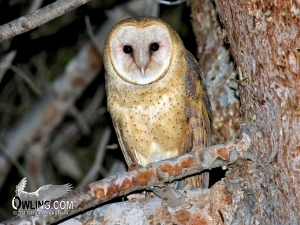 The Barn Owl is North America’s only member of the, “Monkey-faced”, Tytonidae Owl family. 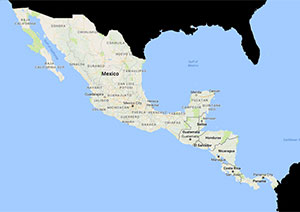 All other North and Central American Owls are members of the Strigidae family, ‘true owls’. The light breast and heart shaped face distinguish this owl from all others. The eyes are dark umber and the bill is straw colored. The sexes are alike although the females tend to be darker overall, particularly on the undersides. 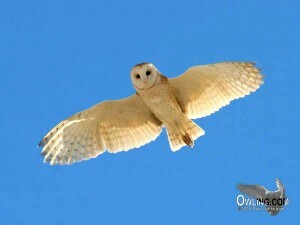 The Barn Owl’s call is not a hoot, as is expected with most owls, it is more of a hiss or screech. Juvenal Great Horned Owls also have a screech and the calls are sometimes mistaken. 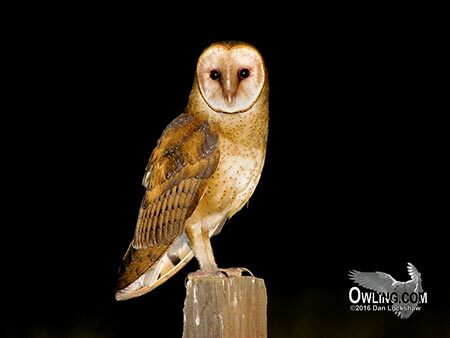 Visually, the Barn Owls lack the distinctive ear tufts of an adult Great Horned Owl, are smaller, and much lighter in color. Though a nocturnal owl species, it may be seen in the early morning hours just before sunrise or more commonly at dusk as it comes out to hunt. It is a mid-sized owl at 16″ in length. In terms of daytime raptors, it is about the length of a Cooper’s Hawk with a stockier owl shape. 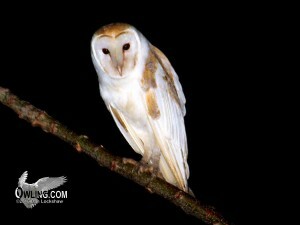 More information can be found on the Barn Owl Biology Page.